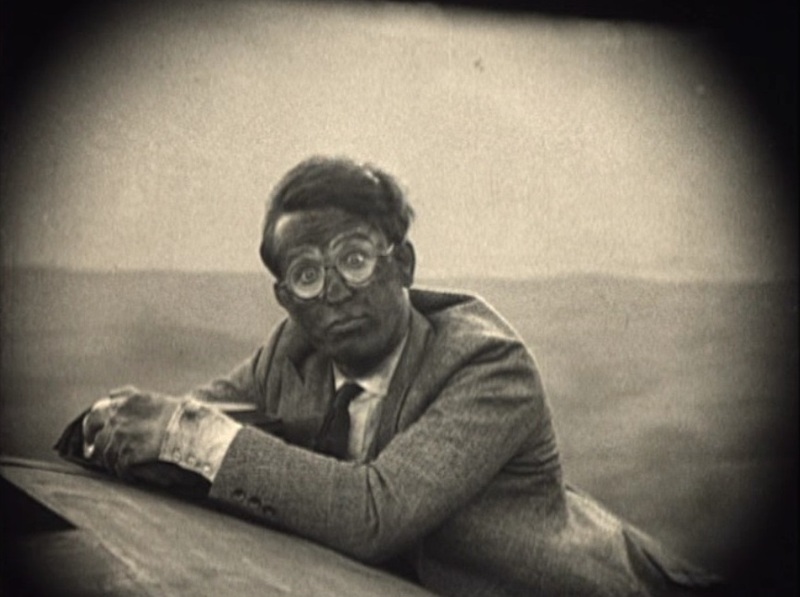 I am a big fan of Harold Lloyd’s early silent pictures and fortunately, most of them were preserved and are available on DVD. 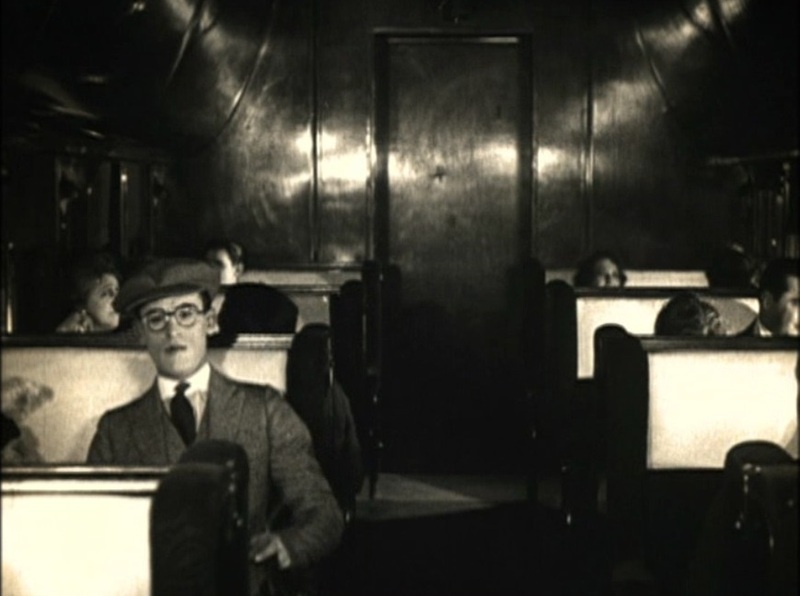 I own the Harold Lloyd DVD Comedy Collection and discovered this “mostly on a train” 35 minute short. It is a natural as one of my obscure train movies. 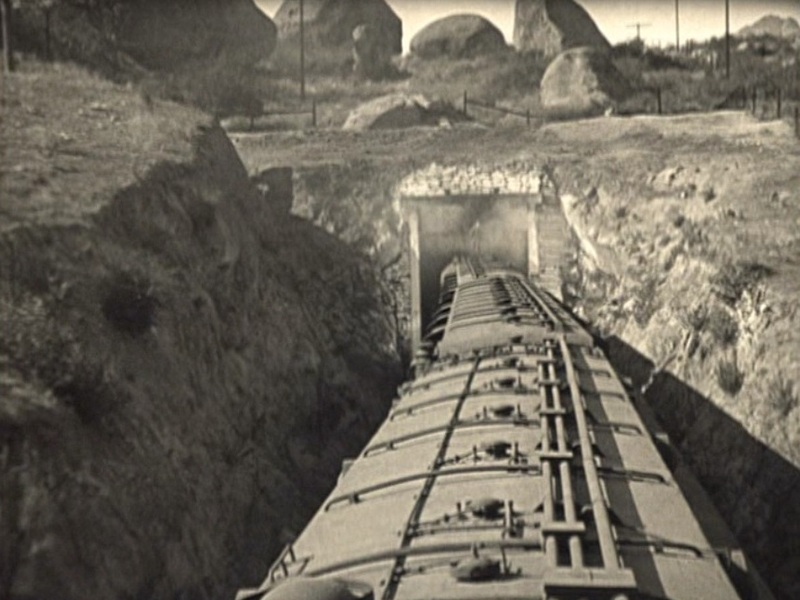 Filmed using both Southern Pacific and Santa Fe Railroad equipment, we get a glimpse of 1920’s railroad operations in Southern California. 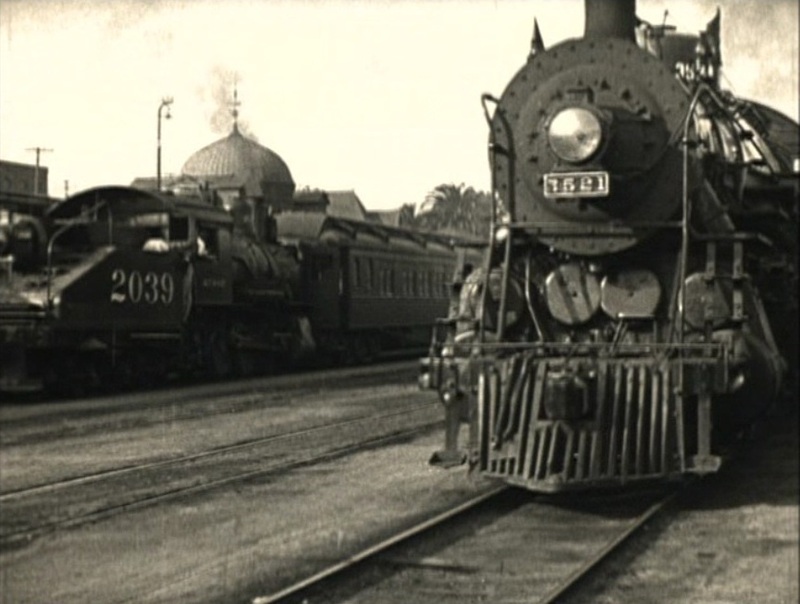 Seen are shots of “riding the rods”, both wooden and steel passenger cars and even a view of Santa Fe’s Moorish-domed, 1893 La Grande Station in Los Angeles (The current LAUPT was not opened until 1939). 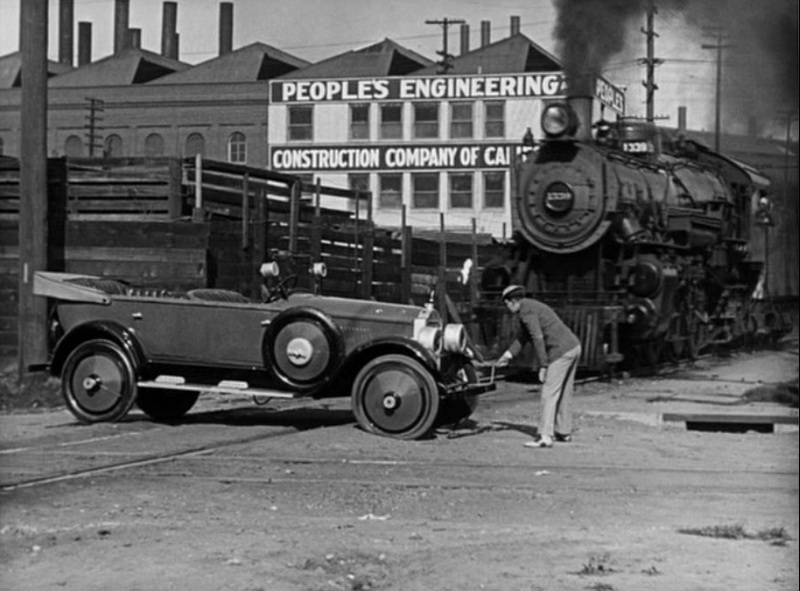 From another Lloyd 1926 short, “For Heaven’s Sake”, we see a classic image of a speeding AT&SF locomotive about to junk his automobile. 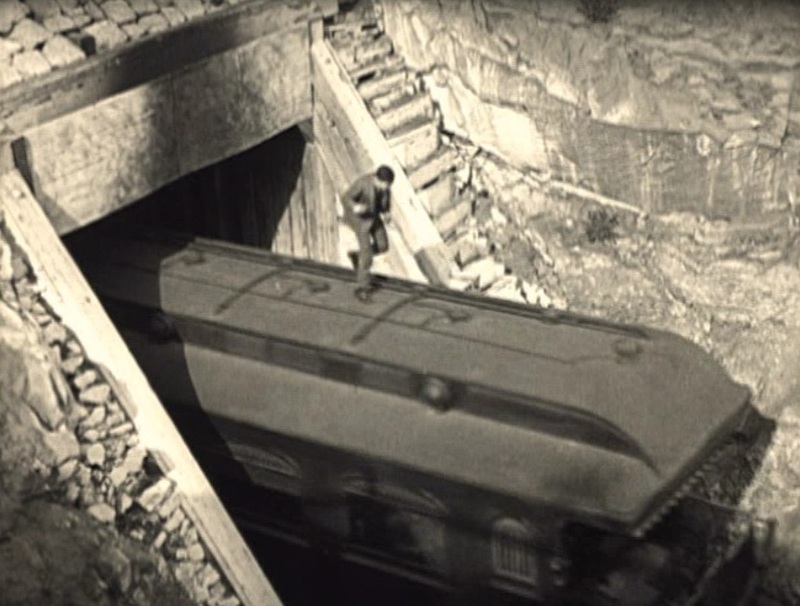 On the way to the big city to see his girl (played by Mildred Davis), and without funds, Lloyd must “ride the rods” and/or concoct various schemes to avoid being tossed off the train by the conductor. 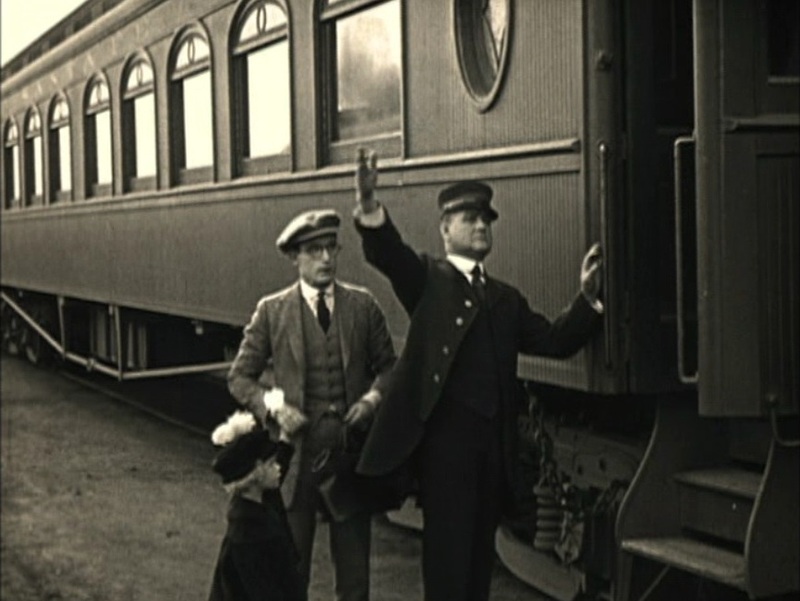 Lloyd points at the bum who made off with his money as the train steams off. Lloyd running underneath the moving car as the bum watches with great amusement (the money flies away on the breeze in another stunt, leaving Lloyd broke). 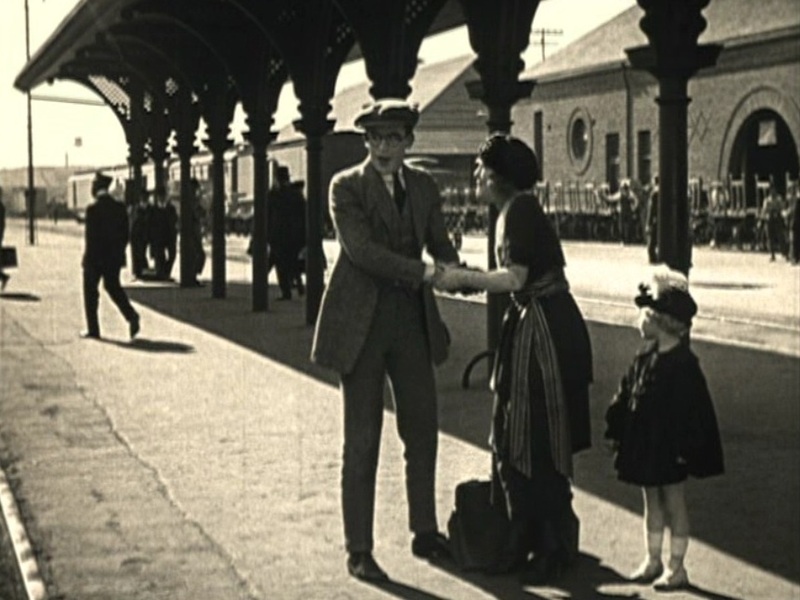 Santa Fe trains arriving and switching at La Grande station; Lloyd meets up with his girl – her Boss’ daughter Anna May in tow. Complications ensue at the next stop. 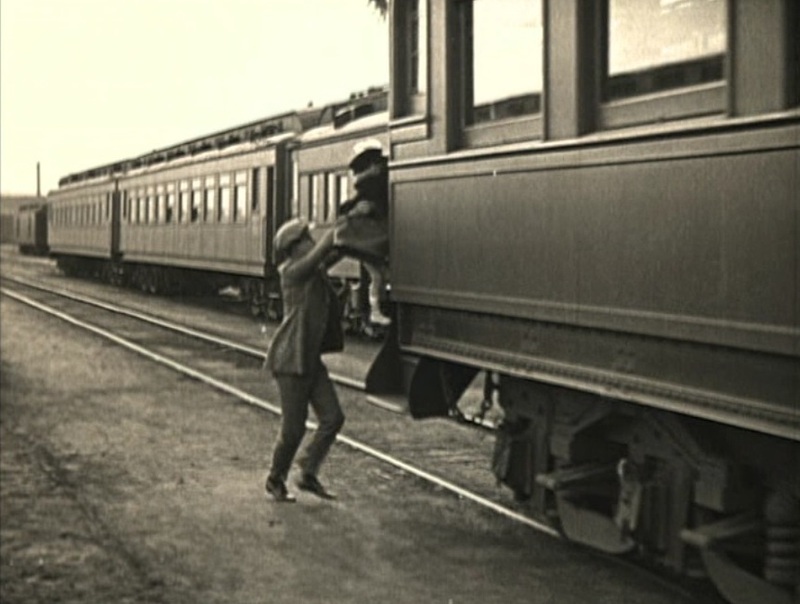 With no ticket, Lloyd ends up having to board the train with Anna May – hoisting her up onto the rear observation platform. Conductor highballing the train from station. 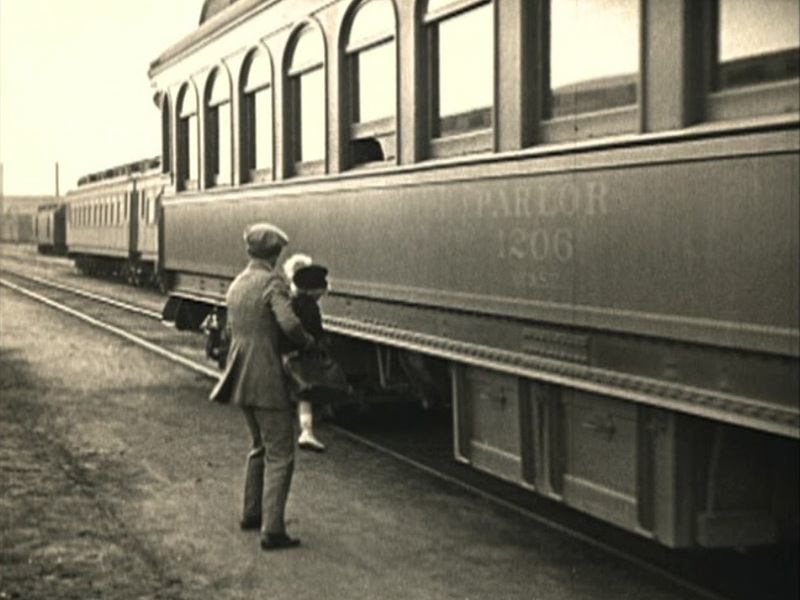 ATSF Parlor #1206 passes as Lloyd and Anna May prepare to board the last car. Lloyd shoves Anna May up onto the last car. 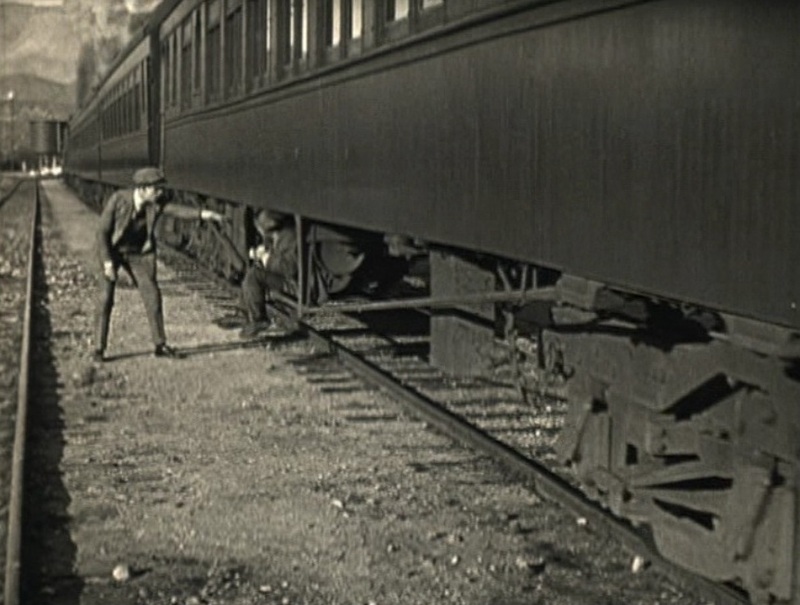 Lloyd retrieves a ticket from a man running for the train…then climbs the rear platform himself as the train speeds off. In what must be a well-equipped set (those aisles are pretty wide), we get a good view of life aboard an early 20th century Pullman train. Washing up in the communal bathroom, life in a day/night section and the eternal question of how DID they get into that upper berth? (They used a ladder fetched from the porter). Interior of Pullman section made up for daytime use; Lloyd putting Anna May to bed. Or at least TRYING to (“I want a drink of water!). With the assistance of a step ladder, Pullman porter shoves a drunk up into “Upper 10”; Four men trying to wash up the next morning with only three wash basins. 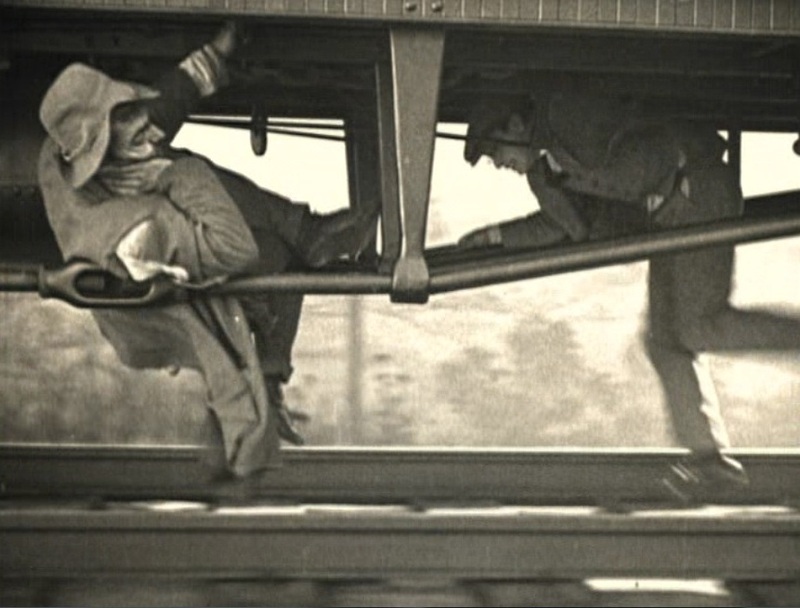 Once more trying to elude the conductor, Lloyd finds himself atop the train itself to avoid capture. Unfortunately, there is a tunnel coming up! 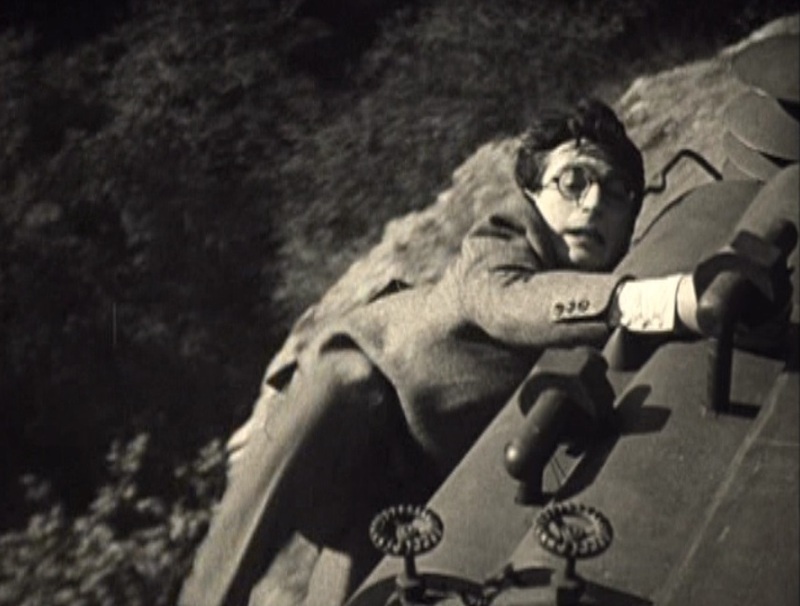 Lloyd makes his way to the train roof to avoid detection. 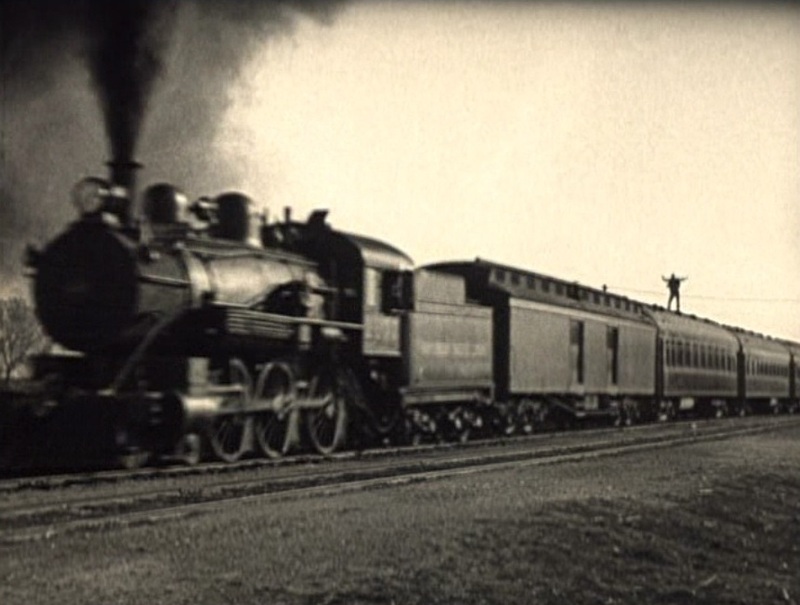 Train steaming along with Lloyd on the top of the first coach. 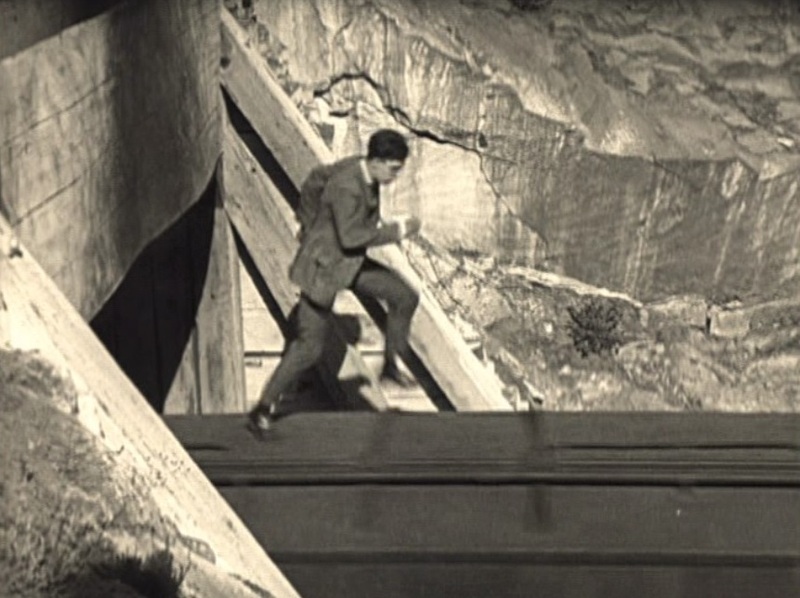 Lloyd running for his life at the tunnel portal; How he didn’t trip with all that roof top hardware, I’ll never know. Will he make it? ; This is what you look like after passing through a tunnel — outside the car! 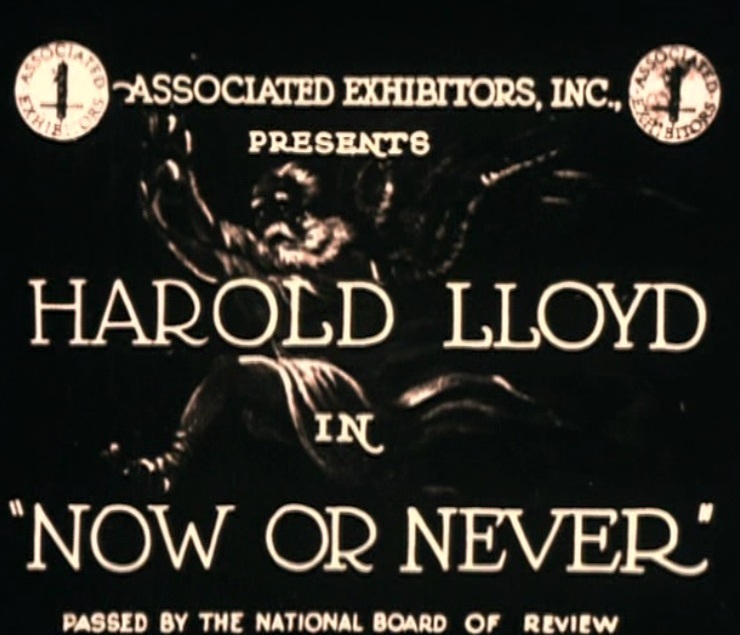 This entry was posted in Uncategorized and tagged Atchison Topeka and Santa Fe Railroad, For Heaven's Sake 1926, Harold Lloyd, La Grande Station Los Angeles, Mildred Davis, Now or Never 1921, Pullman, Santa Fe Railway, Silent Movie, Southern Pacific Railroad. Bookmark the permalink.